Early and accurate diagnosis of malaria is a critical aspect of efforts to control the disease, and several diagnostic tools are available. Microscopic assessment of a peripheral blood smear enables direct visualization of parasites in infected red blood cells and is the clinical diagnostic gold standard. As the field of medical diagnostics continues to evolve, there is a constant search for alternative methods to detect and quantify malaria parasites. To reduce analytical time and improve accuracy, automation of the malaria diagnostic process is highly desirable. Automated hematology analyzers can offer fast, sensitive and cost-effective assessment of all suspected malaria cases. Image: An XN automated hematology analyzer that can also be used for malaria diagnosis (Photo courtesy of Sysmex). Scientists at the University of the Witwatersrand (Johannesburg, South Africa) and their colleagues analyzed blood samples for malaria by different methods. Thin peripheral blood smears were prepared and evaluated by routine laboratory staff. The MAKROmed malaria rapid test kit, which detects the Plasmodium falciparum-specific HRP2 antigen, and the SureTest MAL malaria antigen test kit, which detects both P. falciparum and P. vivax species were used. The team analyzed the samples using the automated Sysmex XN-30 analyzer and the prototype, XN-10 (M), which utilize fluorescence flow cytometry to directly detect and quantitate parasite-infected red blood cells. 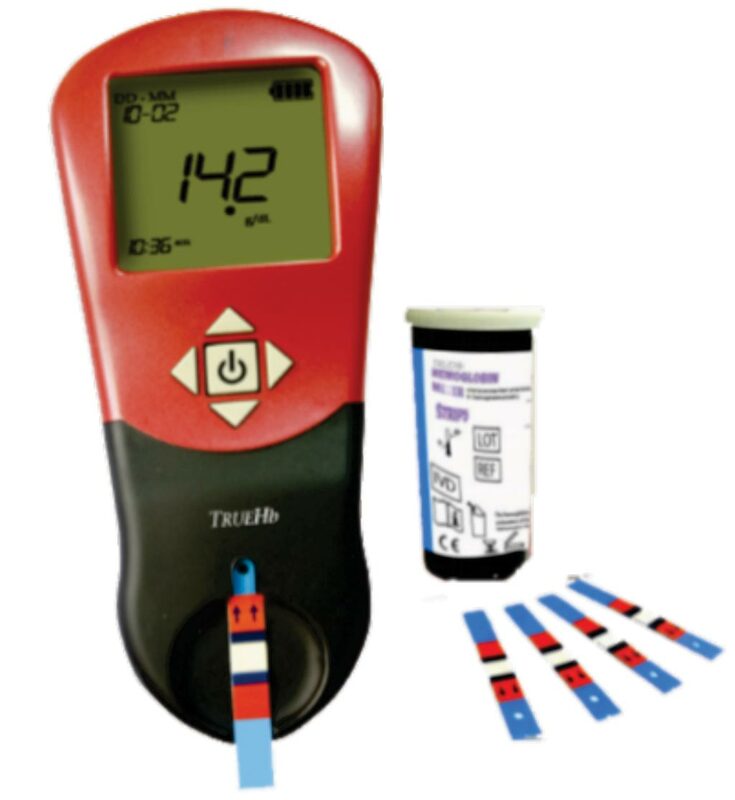 Both analyzers generate results automatically, which are presented as malaria-negative or malaria-positive, accompanied by a conventional FBC, MI-RBC#, MI-RBC%, an M scattergram and a flag with a suggested species classification, either as suspected P. falciparum or suspected ‘others’ (i.e. non-falciparum species). The scientists reported the XN-30 correlated with microscopy and the analyzer demonstrated 100% sensitivity and specificity. Measurements were reproducible and storage of samples at room temperature did not affect the parameters. Several Plasmodium species were detected, including Plasmodium falciparum, Plasmodium vivax and Plasmodium ovale. The XN-30 also identified the transmissible gametocytes as a separate cluster on the scattergrams. Abnormal red blood cell indices (low hemoglobin and raised reticulocyte counts), hemoglobinopathies and thrombocytopenia did not interfere with the detection of parasites. The XN-30 also generated a concurrent full blood count for each sample. The XN-30 may serve as the ideal donor-screening tool in blood banks of malaria-endemic regions. 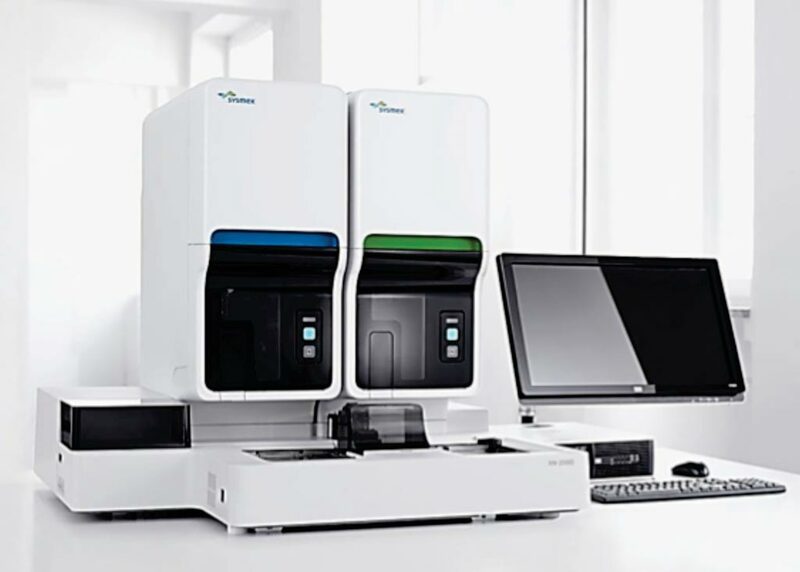 The authors concluded that the novel technology of the Sysmex XN-30 provides a robust, rapid, automated and accurate platform for diagnosing malaria in a clinical setting. The objective enumeration of red blood cells infected with Plasmodium species makes it suitable for global use and allows monitoring of the parasite load once therapy has been initiated, thereby providing an early marker of drug resistance. The study was published on January 22, 2019, in the Malaria Journal.